The Fo Guang Shan Temple in London. I visited the Fo Guang Shan (FGS) Temple in London for the first time in April 2017. I previously had visited FGS temples in East Asia, but this time I made a real connection when I actually had a chance to speak with and learn from the venerables of FGS and the lay people of the Buddha Light International Association (BLIA), in particular the Venerable Abbess Miao Shiang. I had often walked the busy streets that mark the borders of London’s Fitzrovia district: Oxford Street, filled with travelers, tourists, and shoppers; Euston Road, always packed with buses, taxis, and other traffic mark the area’s northern and southern borders. Never would I have thought that just north of Oxford Street stands a Buddhist temple that dedicates its time to charity, contemplation, and education. Most Fo Guang Shan (Buddha Light Mountain) temples are purpose-built, designed to accommodate the many activities of FGS and the BLIA. The building at 84 Margaret Street was built some 60 years before the birth of Fo Guang Shan’s founder, Venerable Master Hsing Yun, and predates the opening of the main FGS temple in Taiwan by nearly 100 years. While it is clear that the building was planned and built for a different purpose, it doesn’t feel that way to me. Only a stone cross at the top of the building and a plaque at the entrance reveal its former role within a church foundation. Last year marked the 150th year since construction of the building commenced. It was designated All Saints School, part of All Saints Church, which stands a few yards northwest on Margaret Street. Both the church and the school were designed by the architect William Butterfield, famous for his church designs, and All Saints Church on Margaret Street is the finest example of his work. Construction on the church began in 1850, and the exterior was finished in 1853. The church was consecrated in 1858, although Butterfield is said to have been involved in improving the building until his death in 1900. The church would become an example of church architecture for decades and met with the approval of many. While the church was being constructed, Butterfield designed All Saints School to be erected at 84 Margaret Street. Construction of the school building commenced in 1868, and it opened in 1870. However, the school was apparently less than successful; a poverty map from 1898 shows that the school was one of the poorest buildings in the area. At the start of the 20th century, the building was mostly used as an overflow space for the church’s choir school, and in 1926 it became the official home of the choir school. The following year saw the construction of the nearby Broadcasting House, headquarters of the BBC, which was also the year that Venerable Master Hsing Yun was born. In 1928, the Chinese Buddhist modernist Master Taixu visited Europe with hope of propagating Buddhism in the West. His encounter with Christian charities would come to form the basis of his approach to humanistic Buddhism. 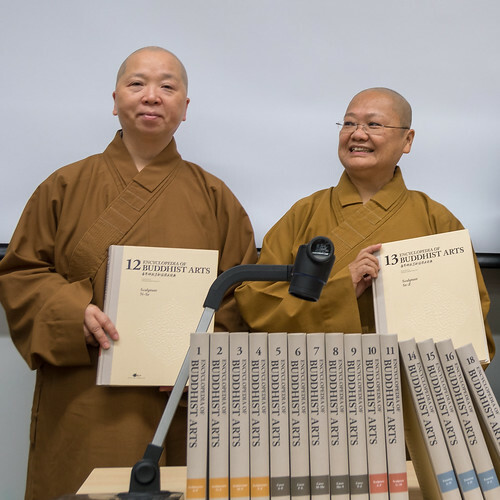 In 1945, while studying at Jiaoshan Buddhist College in China, Master Hsing Yun learned of Master Taixu’s plans to reform Chinese Buddhism, and in 1949 Master Hsing Yun founded the Monastic Rescue Team and headed to Taiwan. 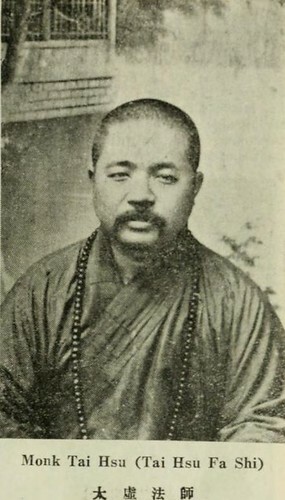 Master Hsing Yun’s approach is said to be very similar to Master Taixu’s ideas for humanistic Buddhism and reforming the Buddhist sangha. With an ever-growing following, Master Hsing Yun founded several temples in Taiwan—notably in 1966 he started building a large temple in Kaohsiung. Partially finished, the temple opened in 1967 and was to become the headquarters of Fo Guang Shan. Back in London, the Margaret Street choir school closed its doors in 1968. 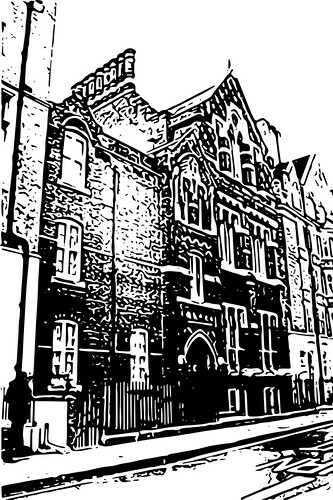 Two years later, the Institute of Christian Studies, a foundation to revive religion in Fitzrovia, opened its doors. On opening 12–15 people had enrolled to study there in an intense part-time course in Christian belief and practice. The institute closed in 1992. A plaque commemorating its official opening by the then archbishop of Canterbury Arthur Michael Ramsey is still visible at the entrance, reading: “Christum Scire est Omnia Scire” (“To know Christ is to know everything”). In the early 1990s FGS acquired the building from All Saints Church and brought their humanistic Buddhism to London. Paintings and photographs of other FGS temples adorne the entrance—there are 300 temples in Taiwan alone, more than 1,000 monks and nuns, and 1 million followers worldwide, with branches in 50 countries. The main hall and altar rooms are on the first floor. The basement is used for meals and other events. Rooms for the venerables are on the ground floor, together with a library and teaching space with frequent classes run together with the BLIA (FGS’s lay organization). The top floor has another room with altar. FGS London and the BLIA have organized celebrations of the birthday of the Buddha in London’s Leicester Square and held open-house events at Margaret Street with chanting, the ritual washing of the Buddha, cultural performances, tea ceremonies, and a hands-on calligraphy exhibition. On other occasions FGS has sponsored Buddhist dances, and one of the venerables represents FGS at a forum on Buddhism in the West. They also organize sports days and special lectures. Education is a major part of every FGS centre around the world, which include schools, colleges, and a university. FGS London helps people reconnect with Buddhism, especially Asian immigrants, giving them a sense of home, of belonging, and of purpose. 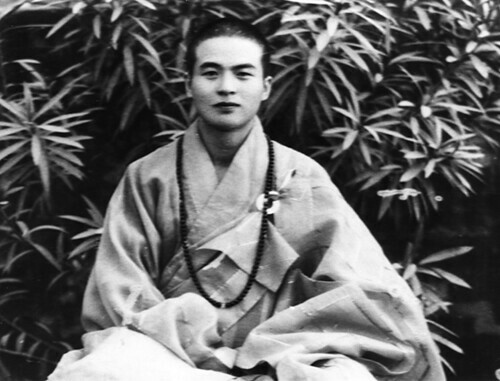 Venerable Master Hsing Yun has written countless books on the Buddhadharma. In 2001, he launched a project to compile an Encyclopedia of Buddhist Art. This project was completed in 2013 and translated into English, consisting of 20 volumes with categories such as architecture, caves, sculptures, paintings, calligraphy, artifacts, and people. The project was made possible with the help of 300 monastics, 140 scholars from 16 countries, and more than 400 volunteers. In January 2018, FGS London generously donated a copy of the complete encyclopedia to the Intersectional Centre for Inclusion and Social Justice (INCISE) at Canterbury Christ Church University. Encyclopedia of Buddhist Art at Canterbury Christ Church University. I greatly admire how FGS supports the education of its members, training people to teach the Dharma, funding PhDs, and co-organizing events on humanistic Buddhism at universities, such as the one-day forum held at Canterbury Christ Church University, co-organized with INCISE. FGS and the BLIA are very active in charity work, collecting large sums of money for a range of humanitarian crises. A recent example was a fundraising event for Lepra, a charity working to beat leprosy, which included an informative talk on the importance of this charity. In Taiwan, FGS and BLIA also provide the needy with free medical care, warm clothing in winter, and food. As a Buddhist practitioner, I find it wonderful to see so many people participating in the ceremonies at the FGS temple, with the venerables leading devotees in chanting and meditation. The members also speak at various different occasions and venues, such as at Parliament House for an occasion that celebrated the accomplishments of Master Hsing Yun, and at the forum at Canterbury Christ Church University, reporting on how much the teachings and practices had changed their lives for the better. It has been a pleasure and privilege for me to meet the venerable members of FGS and the lay people of the BLIA. I would like to offer special thanks to Venerable Abbess Miao Shiang and the rest of FGS London and the BLIA members for their trust in me and the opportunity to make a video documentary about the temple, which also gave me a chance to learn more about FGS, the BLIA, and Venerable Master Hsing Yun. Dr. Patrick de Vries of the Intersectional Centre for Inclusion and Social Justice (INCISE) at Canterbury Christ Church University, in the UK, is a long-time Tibetan Buddhist practitioner, photographer, and artist. Patrick received his MSc in environmental chemistry from the University of Amsterdam, and a PhD in computational biology from the University of Kent. Patrick also manages the website and social media presence for the International Lay Buddhist Forum.